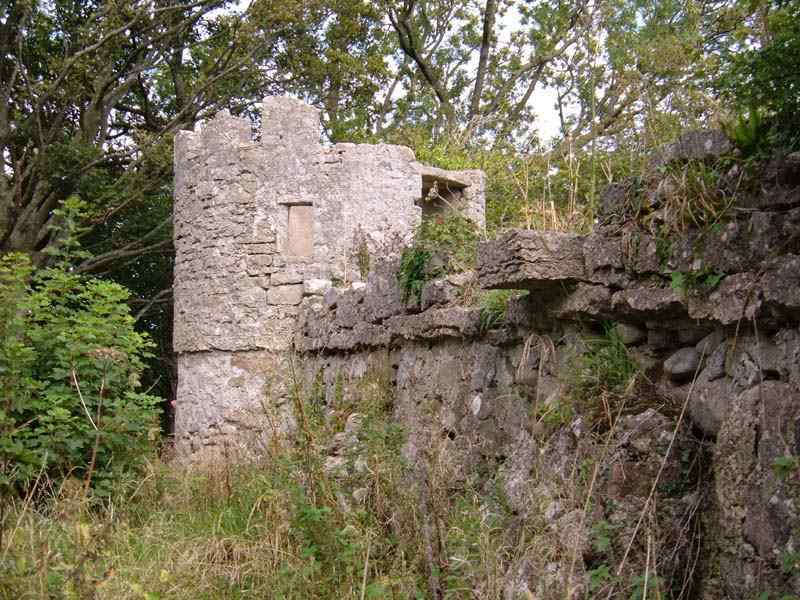 Aber Lleiniog Castle - an ancient Castle on the island of Anglesey. 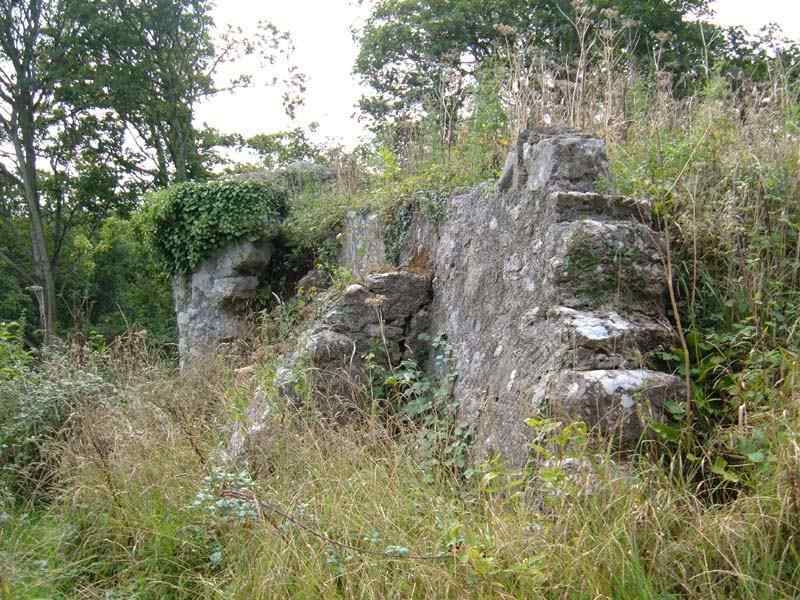 Castell Aberlleiniog or Aber Lleiniog was the most difficult to find and access of all the ancient monuments that I have photographed. I will begin by telling you how to get there, but with a word of warning - I have since my visit found out, that it is apparently not open to the public - Oops. No wonder there are no photographs of the site on the internet! The easiest way is to drive from Beaumaris into the town of Llangoed. Park your car in the car park near the square. There you will see tourist information plaques. Walk down the concrete path (approx 2 metres wide) that runs parallel with the car park. After about ten minutes you will see to your left a water treatment works. Turn towards it crossing the tiny bridge, and then turn to your right. 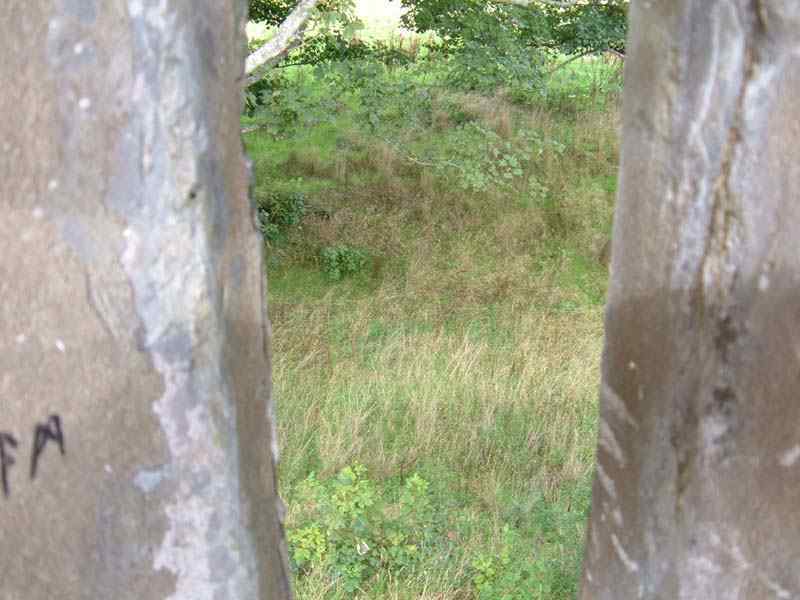 Keep to the outside of the water works, and with the fence on your left and the river to your right ,walk about 100 yards until you reach a very overgrown field. 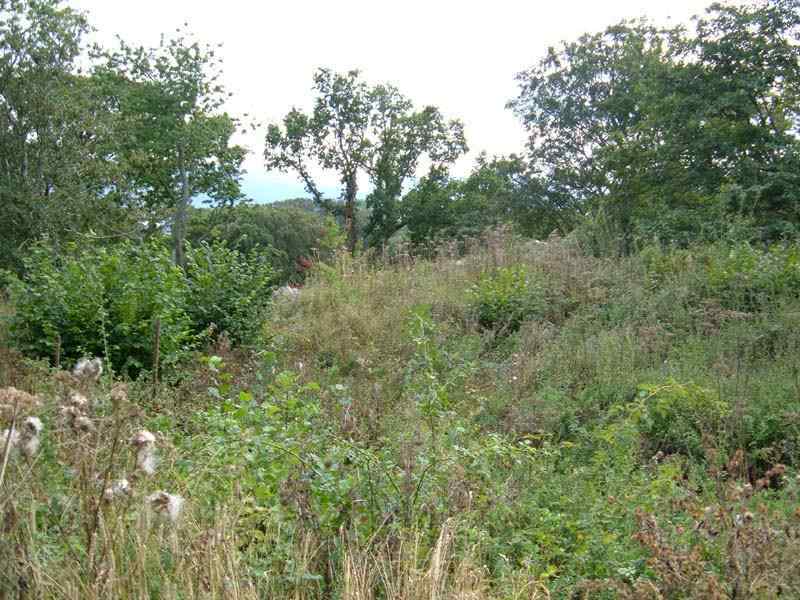 Looking towards your right of centre you will see a small wood. Head for the wood, and gain access to the field by whichever route you think is best. I walked through the gap between the two large trees. 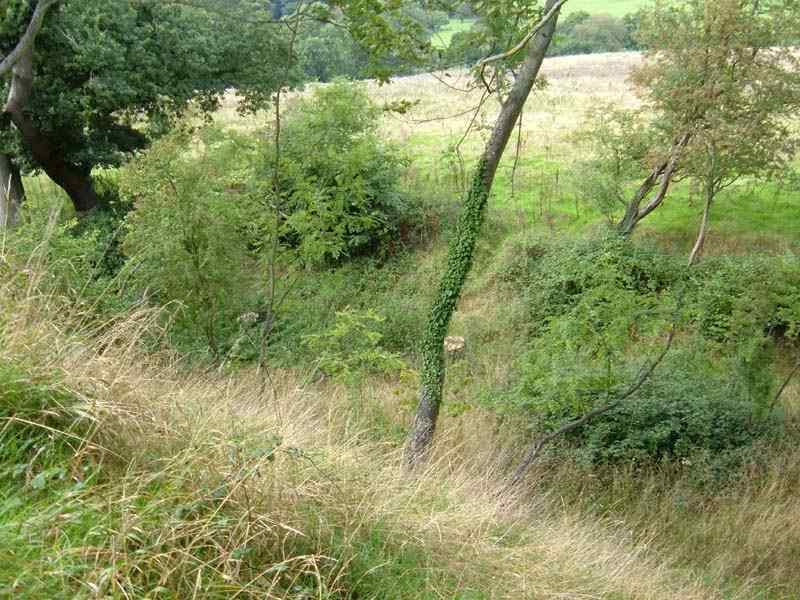 Walk to the top right of the mound like field and you will see the Motte and Bailey in front of you. Well worth a visit, but view it from a distance, the site is dangerously unstable. 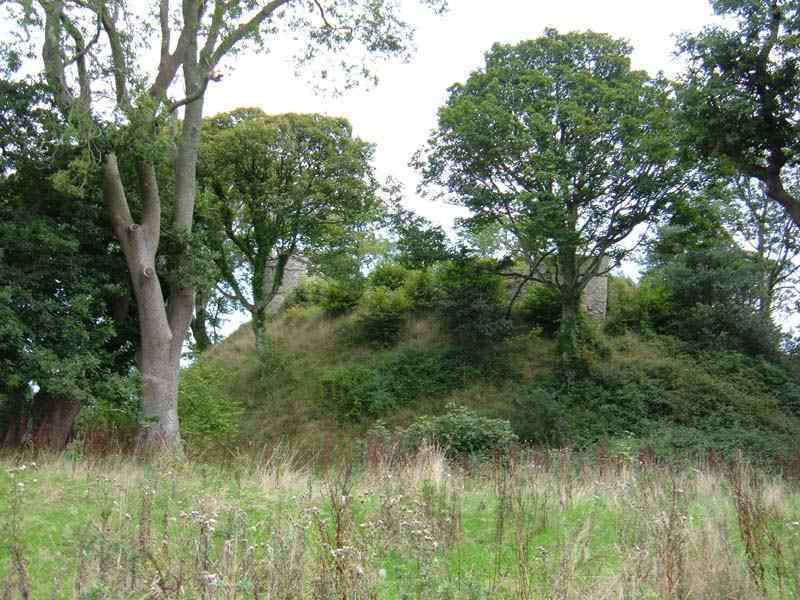 Under no circumstances would I recommend anyone going up to the top of the mound. 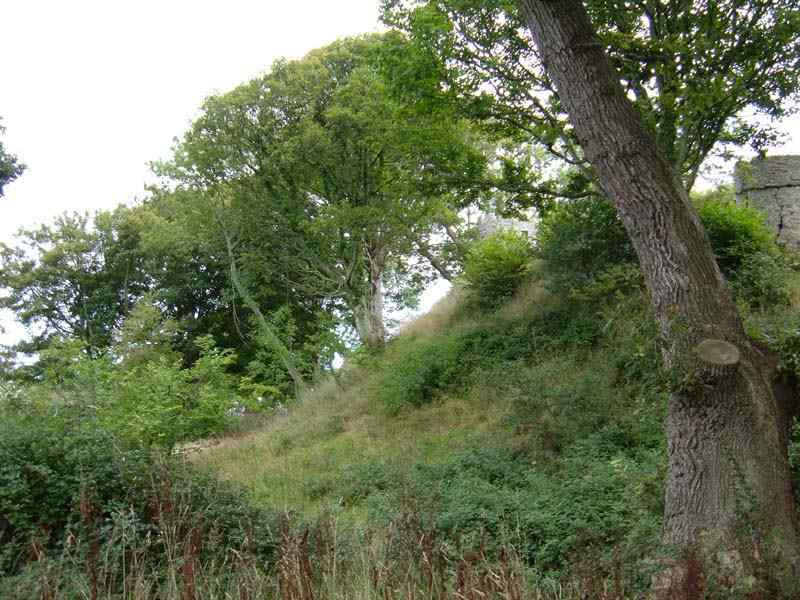 Castell Aberlleiniog is the site of a Motte and Bailey, built in the 11th century on behalf of Hugh d'Avranches, the 1st Earl of Chester. 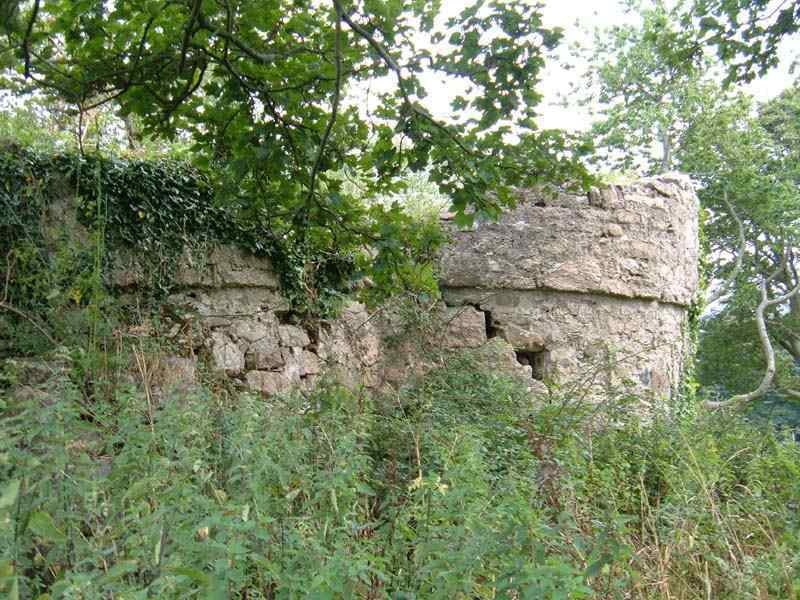 Originally it would have been a wooden structure, now long since disappeared, and replaced during the Civil War by a stone structure consisting of a surrounding wall, and archers towers. 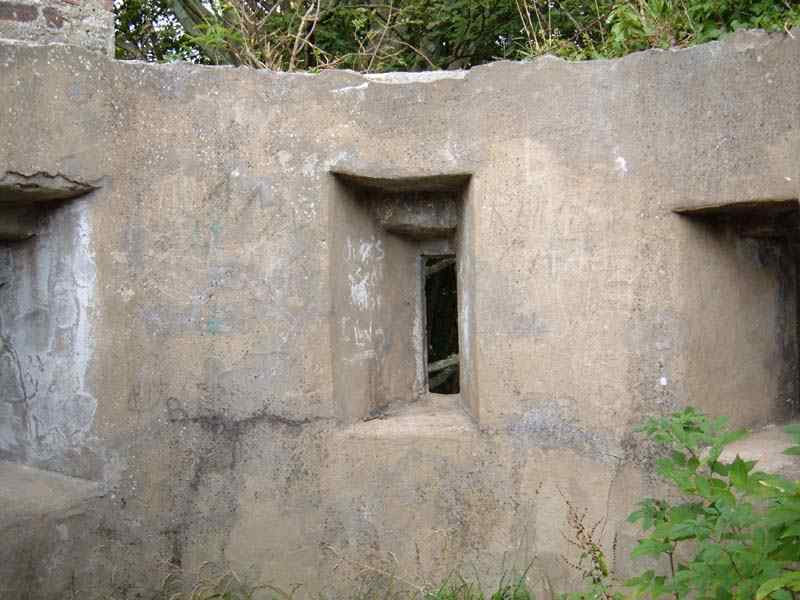 Even later, during the World War it was used by the Home Guard. 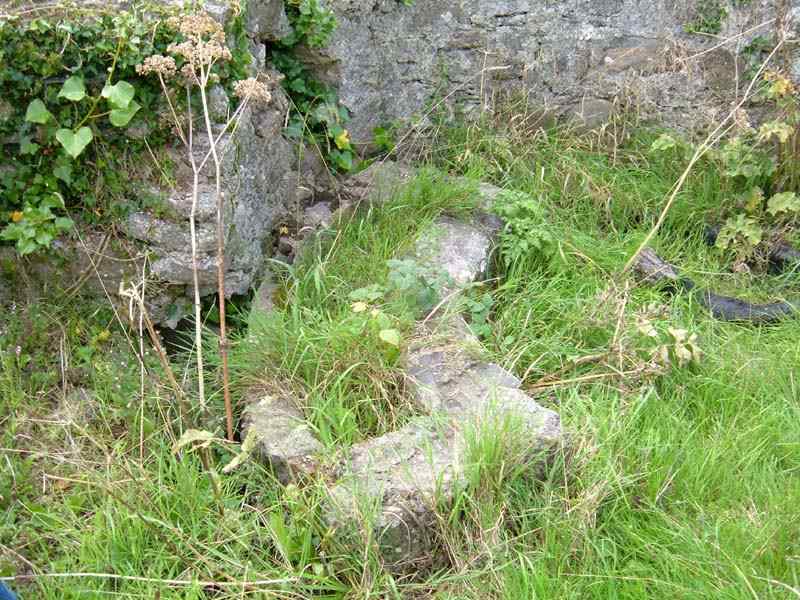 It is impossible - due to the undergrowth - to determine what remains may lie in the centre of the castle. 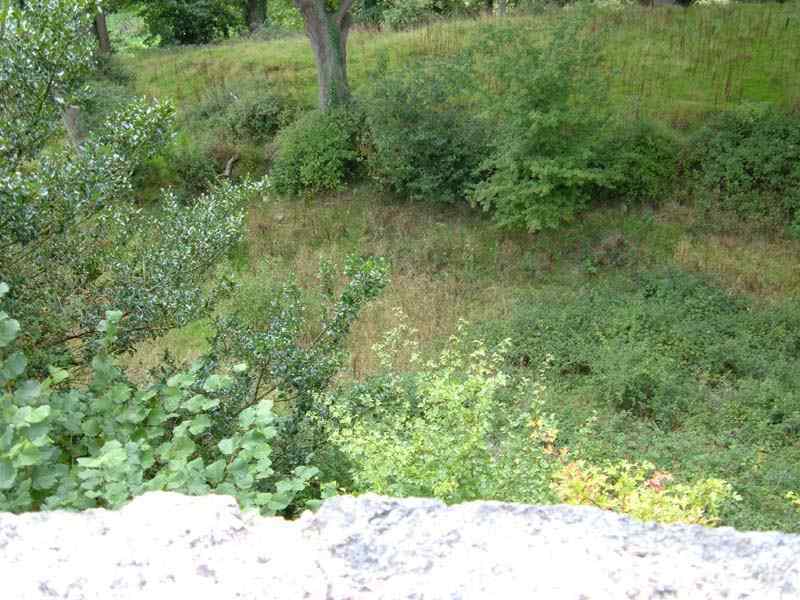 The Moat is clearly visible, and it would not take much to restore this entire monument to somewhere near the state it was in the 17th century. 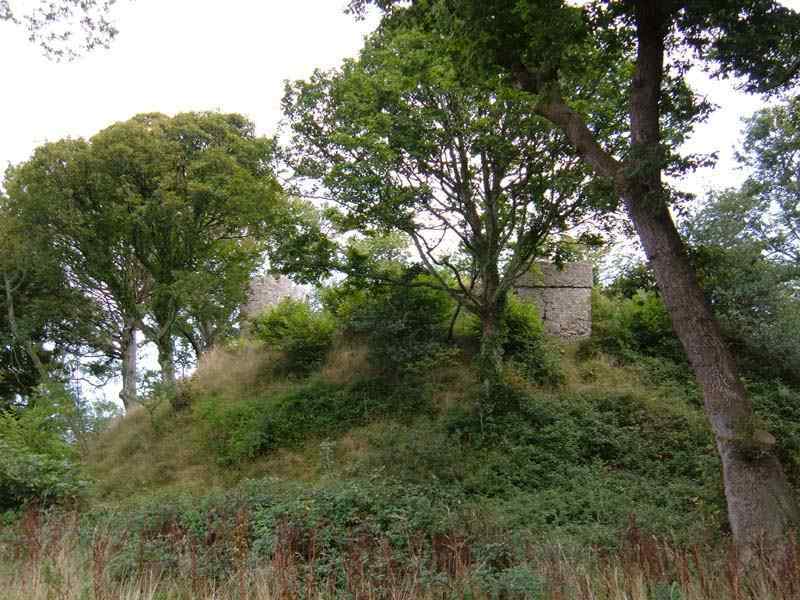 The pictures do not truly express just how steep the mound is, and I for one would not have appreciated trying to get up there to take this fortress. 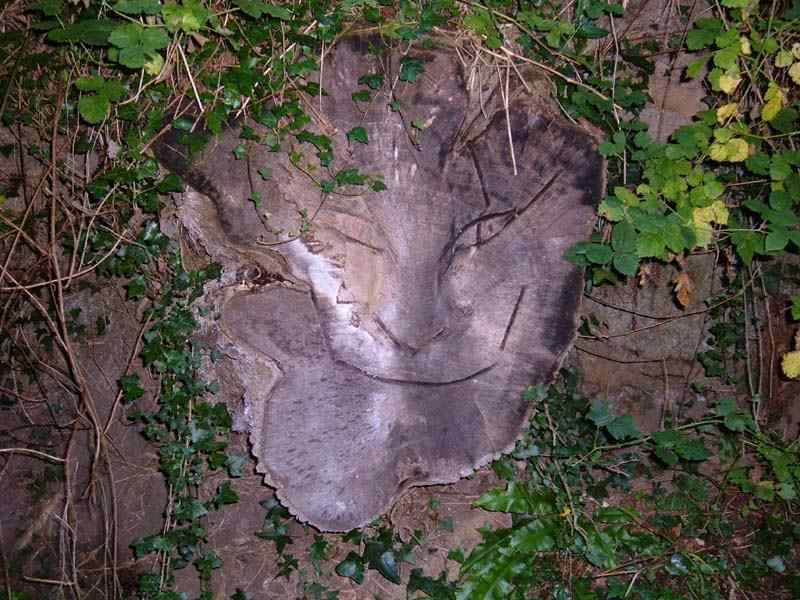 And just out of interest, I noticed this carving on a felled tree trunk, on the path down by the river, which I now believe was carved by a local - Mike Lindley. 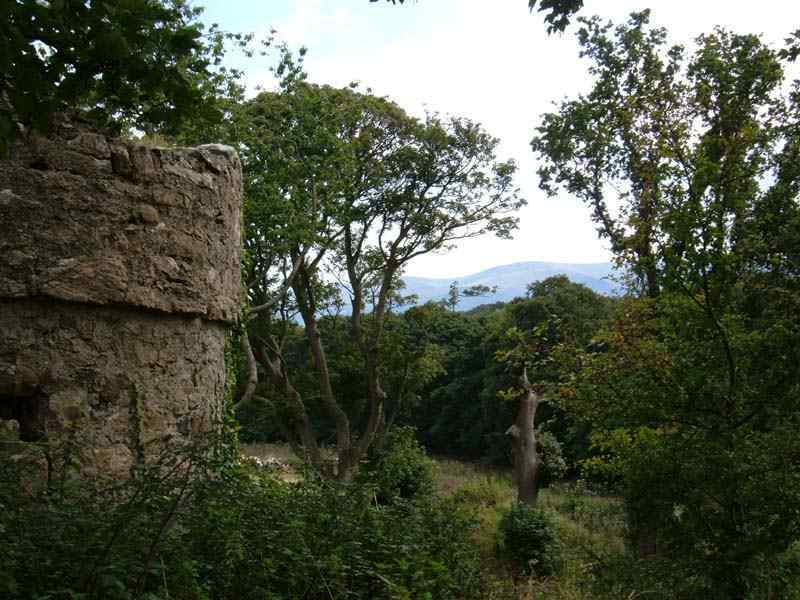 Here on Anglesey we do not take sufficient advantages of our inherited history, that would be of such interest to so many locals and tourists alike. Surely, we should be preserving and showing off these wonderful pieces of our heritage. 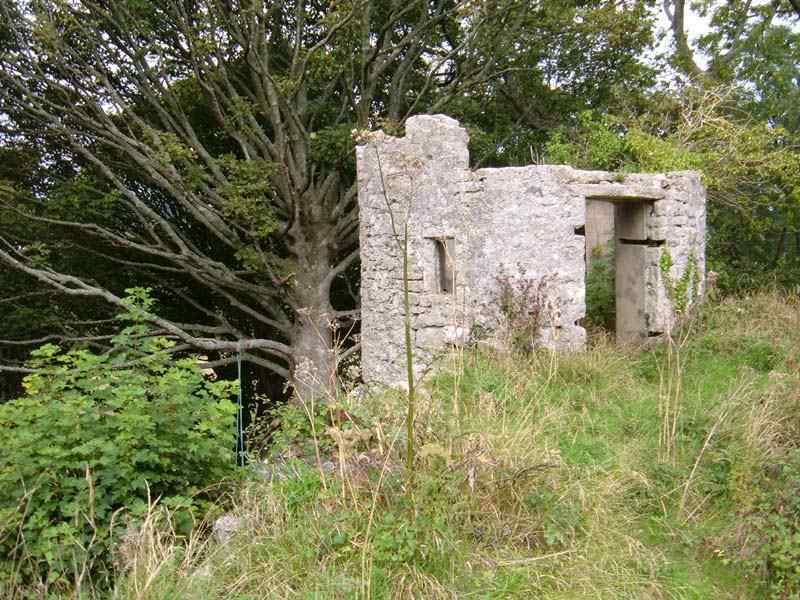 Another very good reason for restoring this - and hence making it safe or even secure - is that I was told in Llangoed village that the local children use it as a place to play!! Update! 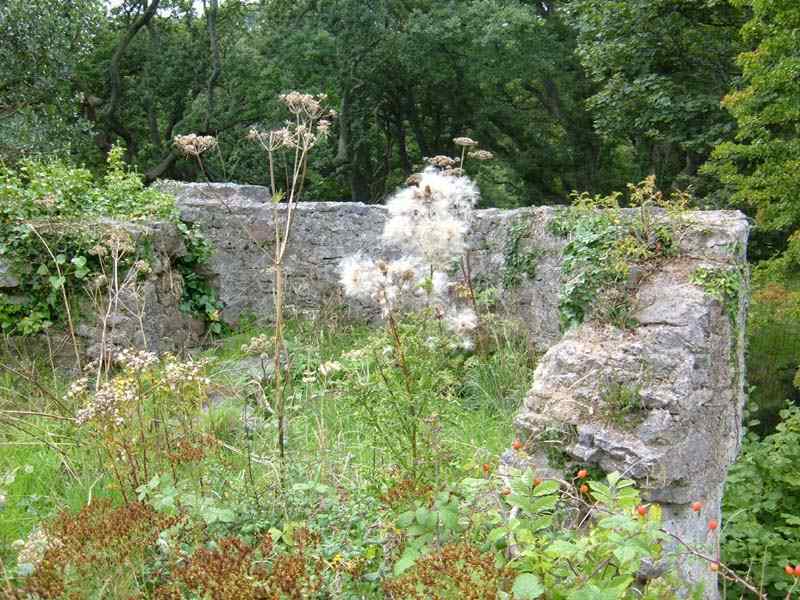 Castell Aberlleiniog has now been partly restored, and access made so much easier, see the link to page 2 below.